Fill out the form with any questions or inquiries you have for the sales consultants at McCullough. You can also call or chat with us for immediate responses. Discover McCollough, a vibrant neighborhood with a prime Pineville address. Choose from a collection of classic craftsman and colonial style homes with spacious interiors and flexible space. Enjoy exceptional amenities including pocket parks, playgrounds, aquatic park with club pavilion, lighted tennis courts and fitness center. Explore McCullough to see this thoughtfully designed community located exactly where you want to be and ready to deliver the luxury lifestyle you’ve earned. The Cottages at McCullough feature plans from our historic Artisan Collection. These elegant three- to four-bedroom homes are sure to impress. Looking for the lock-and-leave convenience, spacious floorplans and elegant design details? Welcome to the Townhomes at McCullough. As flexible as it is spacious, The Richardson offers a gourmet kitchen plus an optional private guest suite. The Lauren is an entertainer’s dream, with a cook’s kitchen, open floor plan, multi-function loft, and four full bedrooms. Welcome to the great indoors at The Mason, with an open floor plan, gourmet kitchen, and luxurious owner's suite. No New Quick Move-In Homes Available from the Townhome Series at this time. McCullough welcomes you with a landmark entrance and winding streetscapes of watercolor homes, sidewalks and friendly front porches. Acres of parks, sweeping greens and the neighborhood club make it easy to find the perfect place to connect, play or just relax. At the heart of McCullough lies Founders Park, the community’s vibrant village green and an introduction to more than eighty acres of green space and trails waiting to be explored. There is also a Residents Club with a fitness center, event space for community and private parties, and lighted tennis courts, plus a children’s playground at Kenny’s Street Park. 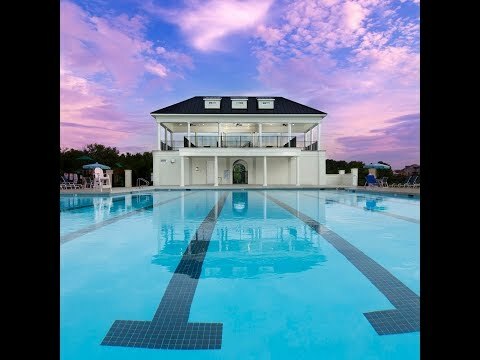 Rounding out the impressive list of amenities at McCullough is an Aquatic Park with sparkling pool, and stately club pavilion. Experience a charming setting and vibrant social scene at McCullough. Stroll through quaint shops or savor a craft beer in downtown Pineville, or spend the day shopping at your favorite stores in the nearby Carolina Place Mall. Enjoy convenient access to Fort Mill, Uptown Charlotte, downtown Pineville, I-485 and I-77. Our residents are at the heart of every John Wieland neighborhood, and there is always something happening. From exciting offers to home events, we invite you to see what’s going on in the neighborhood.